Since I was a kid, I always liked stuffed animals. Up until recently I even had a specific teddy bear collection. I have a very active imagination and I love to bring these furry inanimate objects alive. Some people love to play along, some others do think I'm missing a few screws in my head. Thankfully, my wife is one of those who would play along. 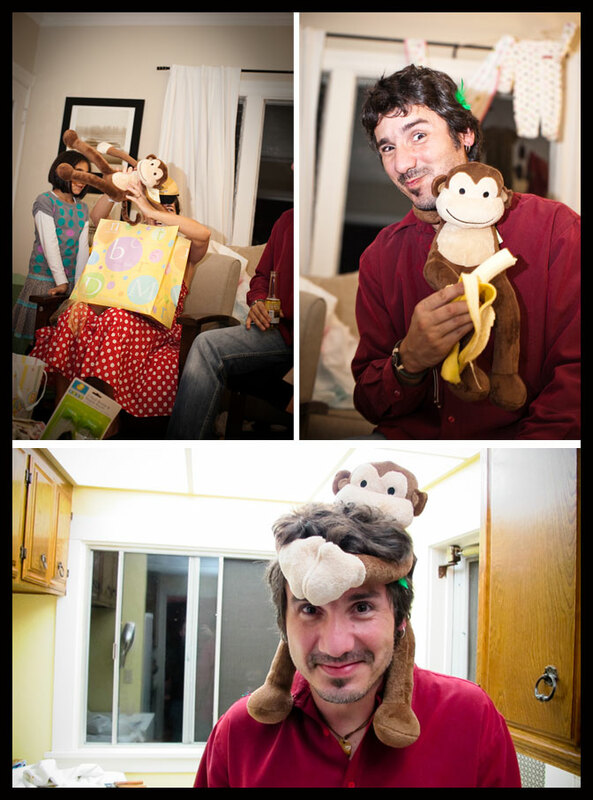 Back in November, we had a co-ed baby shower and the theme was "monkey". It was a very fun day and we received tons of love and our soon-to-be-born baby girl received her first few possessions. One of our great friends, Musetta, brought a great stuffed monkey among other things. Jennifer was the one who first met him. She showed him a little love and than Monkey landed on me. We first shared a banana and than he wanted to have the tour of the house on my back and I introduced him to our friends. The following first 2 pictures are courtesy of Jen Castle Photography and the third one was taken by another friend. 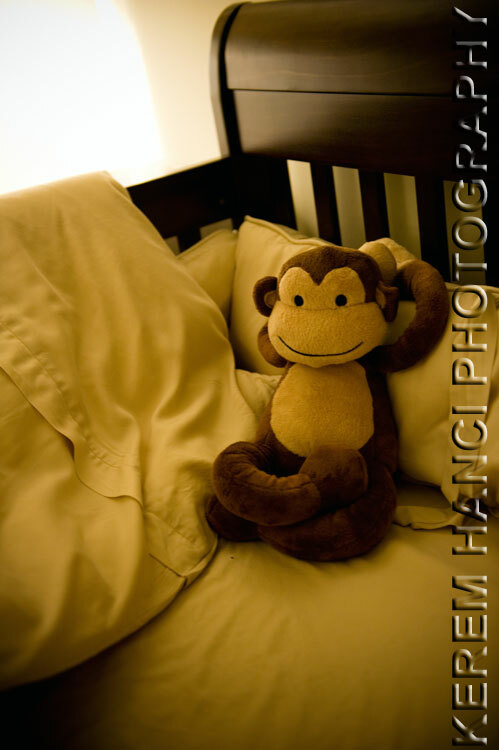 Monkey was happy to come with us to his new home, while Jennifer and I were sorting all the clothes and other gifts, he sat on the bed, had some tea and asked us tons of questions in order to get to know us... Or that is what I imagined. When we were preparing the nursery, he was the first one in there and I was finding him places. I made him hang from the side of the crib. (The revolutionary genius technology of Velcro allows Monkey to hang on things). 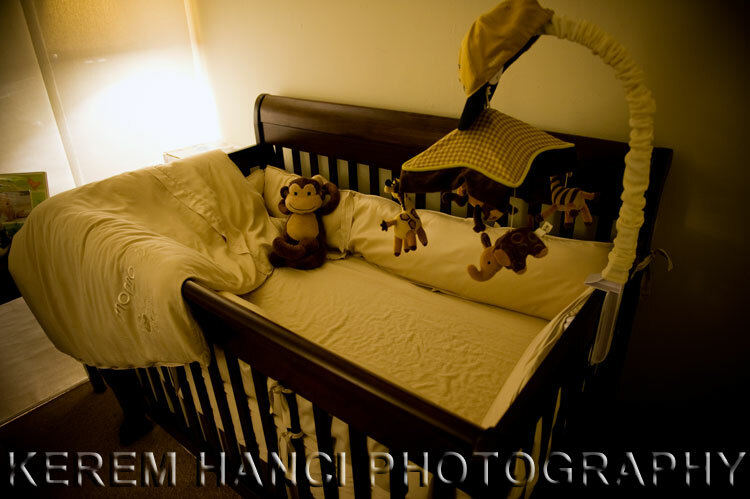 For all these months, Jennifer was not really messing with him, but then she put the last few touches to the nursery and she kind of threw Monkey on the bed and we joked around about how he was waiting for "his buddy". A few days later, I came home from a very long work day. The last couple of hours was spent in the Los Angeles traffic and I was not particularly in a good mood, and on top of it, I was feeling I was coming down with something. My office is reached thru the nursery, so I walked in, did some paperwork, went to the kitchen to grab some tea, and on my way back, I noticed, that Monkey got comfy! Jennifer took an extra step and changed the way Monkey was sitting and this little change made me laugh out loud and made me forget the long day's stress. Of course, for this I am grateful to my wife (I am actually grateful to Monkey, but don't tell that to my wife). We look forward to all going according to the plan, and to have an addition to our family next week. So, like Monkey, we are waiting for her. 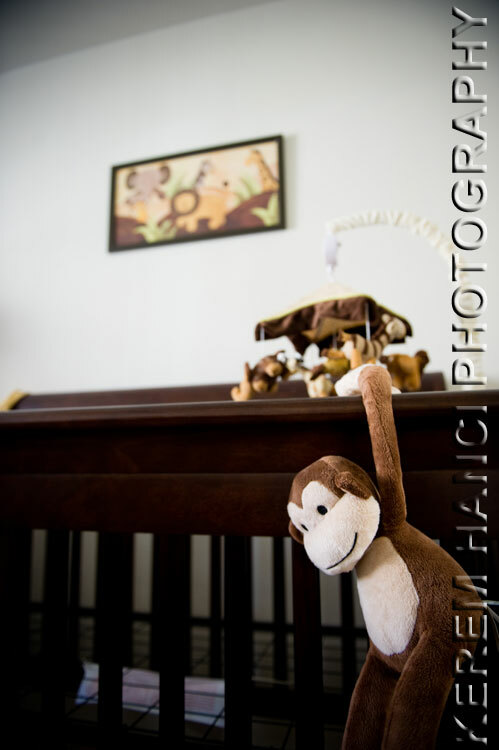 I am not promising anything, but if I can pull it off, next week's Friday Photography Blog may be all about our bundle of joy. If not, I may take the next week off. awwww....sooo sweet Kerem!! I am so excited to see Monkey's friend! David has a monkey named Bingo. He is the cousin of Bongo. Bongo is our local Trader Joes pet that picks a new hiding spot every week. Now when we pull into the parking lot of TJ's David yells "Bongo!!". David has amazed us with finding Bongo. When we saw Bongos cousin Bingo at the zoo we had to bring him home. Now Bingo likes to hid out in our house. I can't wait to meet your little one! I think we can all forgive you if you take next week off. Much love to you and your family! !